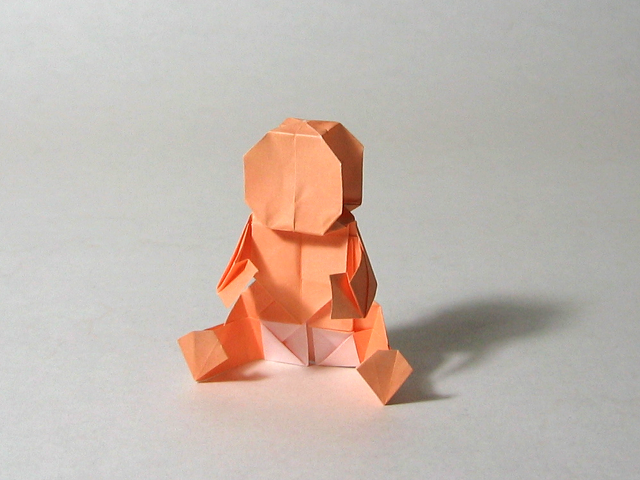 I thought it only befitting that I fold a baby in preparation for greeting our soon-to-be-born little'un! That is freaky, I just folded that exact same model yesterday! Congratulations! Origami will be taking a definite backseat to this new little one. And that is how it should be. The time with the baby really does go by quickly, even if the day to day can seem to go even backwards. I wonder at how young of age a child can fold - check with Joseph Wu. Thanks for all you have been doing for advancing origami with such clear videos. God's Blessings on you bundle of joy soon to make an appearance.